Today, we are delighted to report that we’ve reached another important milestone in our efforts to reinvent productivity. 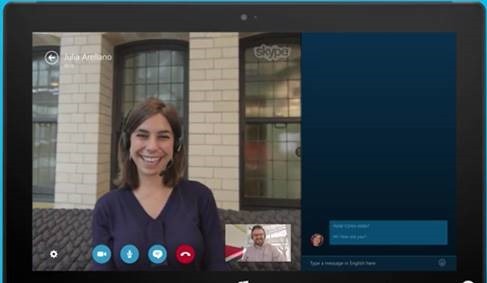 Skype Translator preview is releasing to external audiences for the first time! Skype Translator is addressing one of the oldest and hardest problems – communicating across languages. A decade ago Skype broke down the distance barriers. Starting today we are breaking down the language barrier. With Skype Translator we will change the way people communicate across cultures and around the world, one conversation at a time! The video embedded in our blog post showing the interaction among schoolchildren in Mexico City and Tacoma, Washington gives you a sense of just how transformational this technology can be. Today, we’re supporting English and Spanish, but our intent is to support more languages in the coming months. Note: The store app only supports speech translation between English and Spanish.